There’s a reason people call Los Cabos a paradise, and it’s not just because cape cities Cabo San Lucas and San Jose del Cabo enjoy year-round sunshine and tropical mood-enhancers like palm trees and golden sand beaches. It’s because one of the most beautiful places on Planet Earth still has plenty of ocean view real estate available, and you don’t need to be a billionaire, or even a millionaire, to afford it. List prices for ocean view real estate are significantly lower (and more available) in Los Cabos than for similarly spectacular properties in the U.S., and home financing is now an option. Are you ready to find your dream home in paradise? Here are three basic steps to follow. 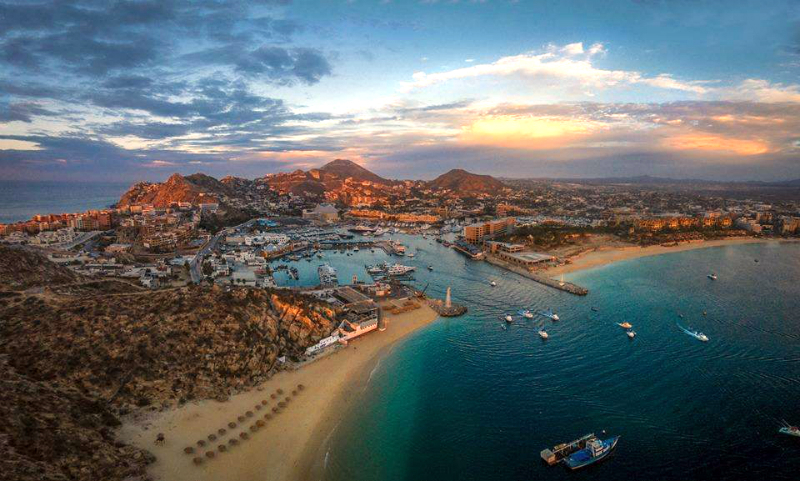 There are many views and vantages in paradise…now more than ever, given Los Cabos’ current growth spurt, which has translated to an unprecedented building boom at picturesque locales throughout the area. Exciting new developments are underway now on the ruggedly beautiful Pacific Coast north of Cabo San Lucas (Quivira, Diamante and Rancho San Lucas), along the Sea of Cortez facing “tourist corridor” which connects the cape cities (Solaz, Montage, Ritz-Carlton and Hyatt), and on the pristine and sparsely populated East Cape (Four Seasons, Aman and Caesar’s Palace). Each of Los Cabos’ many ocean view locales and neighborhoods has its advantages and amenities, from private golf courses from legendary names like Jack Nicklaus, Tiger Woods, Davis Love III, Greg Norman and Fred Couples to marina access, culinary marketplaces and pampering day spas. The question is: which location is right for you? The options are nearly endless, and we’re not just referring to the many new residential developments on Los Cabos’ golden coasts. There are also many types of homes available, from cliffside luxury villas to beachfront condos, resort-based residences to sprawling hacienda style estates. Finding the best value doesn’t just mean finding the lowest listing, but finding an affordable property that’s also perfect for the needs of you and your family. Do you fancy something intimate and romantic – a hilltop pied-à-terre overlooking the sea – or do you dream of a large beach house that will accommodate frequent visits from friends and family? Will you be in residence full-time or only seasonally? Fractional ownership may be an option to consider. Finding the right ally is actually step one, as it makes finding the right location and value so much easier. Windermere’s agents have over 100 years of combined experience in the Los Cabos real estate market. We’re well-versed in Mexican law and real estate regulations, and always up-t0-date on all the latest properties and developments. What we’re most proud of, however, is our ability to help clients find and finance their dream home…the place they’ve always dreamed of, and in many cases thought they could never afford. Fortunately, after years of “cash only” home buying options, Windermere has recently discovered Global Mortgage is offering fixed-rate 15 year loans, with full amortization, and one of the lowest interest rates available from any institutional lender in Mexico. As an added bonus, annual taxes, insurance, trust and HOA fees are all included in the monthly mortgage payments. Translation: Paradise is easier to find – and finance – than ever before. Call us Toll Free today at (855)877-2226 to find out more about buying a dream home in Los Cabos or contact us here, thanks!